The songs, games, and inside jokes cultivated at Passover seders can make the celebration come alive for children and guests of every age. Here are a few ideas, pointers, and resources–it’s not too late to incorporate them into your seder plans! Plague Props. The 10 Plagues are visited upon the Egyptian people, while the Israelites are unharmed. This is a serious lesson that results in the seder pouring out some amount of wine for each plague, or whispering the plagues, or covering their ears to not hear the curses that befell the Egyptian people. It’s a great time to discuss bystanders–were all Egyptians responsible for slavery? Why were they punished for Pharoah’s hard heart? What could the plagues have inspired the Egyptian civilians to do? What should we do if we disagree with our governmental leaders? It’s a serious part of the story, and is so easy to get silly during a part of the story in which serious pain is visited upon our captors. Once that tone is established, though, there are some really fun ways to represent the plagues. How can we do so respectfully? I have no answers. 1. Blood: get a small jar and fill it with water, oil, and food coloring. Shake it to turn the water into blood at the appropriate time! 2. Frogs: Origami frogs! Have your older kids fold them as they arrive to the seder. Instructions here. 5. Pestilence: If you’re wearing a mask, fall down dead! Or, tape some black “X” marks over the eyes of your animals. 7. Hail: Cotton balls. Throw willy-nilly. 8. Locusts: Provide stalks of kale, rosemary, or other veggies that you can quickly strip all the plant off of. When it comes to the locust plague, hold up a stalk and run your hand down the middle, to represent how locusts so quickly strip crops bare! Or, if that’s not your bag, get up and hop around! 9. Darkness: Turn off the lights in the room, or give out small flashlights. If you don’t use electricity on yom tov, use blindfolds. Aish has a really cute idea about draping curtains to cross the Sea of Reeds, and some additional ideas about plague bags! At the Pesach history game! Little Known Heroes of the Passover Story If you have gregarious, older kids, have them research Miriam, Nachshon, Shifra and Puah, Bat Paroh! Have them host a talk show during the Magid, storytelling, section of the Seder! JTS did an hour long session on engaging kids in the Passover seder! Watch it below, and check out the resources sheet they provided here. Ariana is a religious school educator, PR type, knitter, radical children’s book collector, and activist. 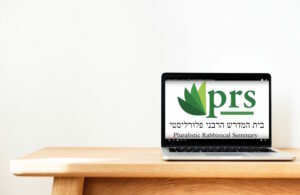 Ariana blogs at Vildah Chaya, including weekly Parsha Playlists about each week’s Torah portion. Ariana blushes when someone can work bell hooks theory into a d’var torah.